to the website of St Wilfrid's, a church situated close to Eastbourne on the edge of the South Downs. and activities. You are welcome to any of them, though for small groups you are advised to contact the relevant group leader first. Sunday at 10.00 am for our main meeting for worship together. Click HERE for a list of our weekly services. Click HERE for other services and events, some of which are also weekly. 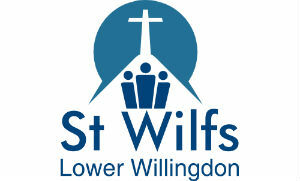 Click HERE for information on Mini-Wilfs. Click HERE for events coming up. Click HERE to find out how to become a Christian. To access and download our Members Consent Form click HERE.